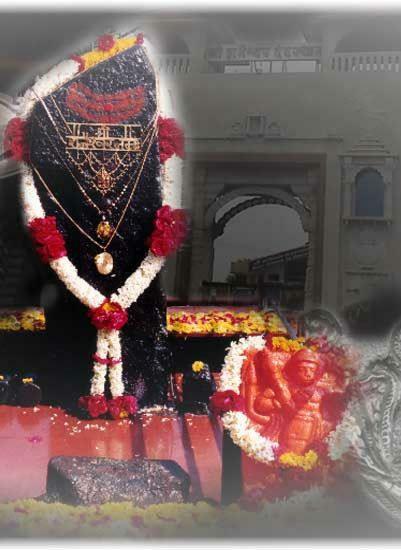 Important Shrine for Lord Shani is in Shani Shingnapur, Maharashtra, India. 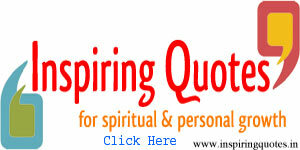 is located half-way between Shirdi and Aurangabad. The deity here is “Swayambhu” (Sanskrit: self-evolved deity) that is self emerged from earth in form of black but imposing stone. Though no one knows the exact period, it is believed that the Swayambhu Shanaishwara statue was found from times immemorial by shepherds of the then local hamlet. It is believed to be in existence at least since Kali yuga. The story of the swayambhu statue handed down from generations through word of mouth, goes something like this: When the Shepherd touched the stone with a pointed rod, the stone started bleeding. The shepherds were astounded. Soon the whole village gathered around to watch the miracle. On that night Lord Shanaishwara appeared in the dream of the most devoted and pious of the shepherds. He told the shepherd that he is “Shanaishwara”. He also told that the unique looking black stone is his swayambhu form. The shepherd prayed and asked the lord whether he should construct a temple for him. To this, Lord Shani Mahatma said there is no need for a roof as the whole sky is his roof and he preferred to be under open sky. He asked the shephered to do daily pooja and ‘Tailabhisheka’ every Saturday without fail. He also promised the whole hamlet will have no fear of dacoits or burglars or thieves. 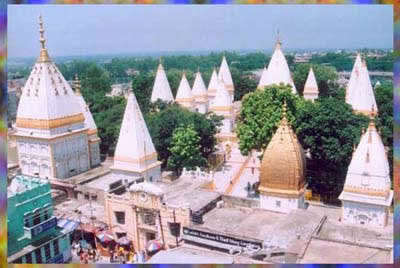 So, Lord Shanaishwara can be seen even today, in the open yard without any roof above. To this day, there are no doors for any houses, shops, temples. It is to be seen to believe that even post office has no door, not to speak of locks. 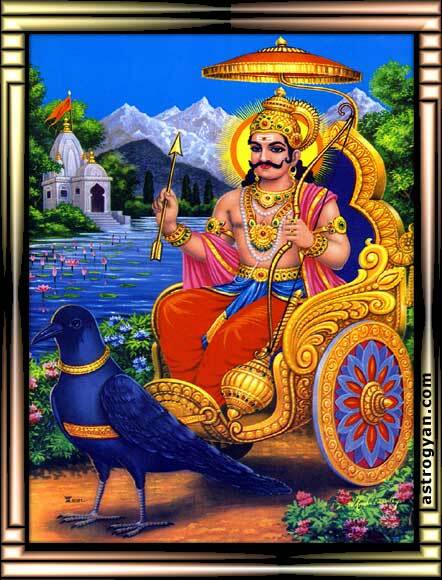 Due to the fear of Lord Shani, none of the structures, be it dwelling houses, huts, shops, etc. 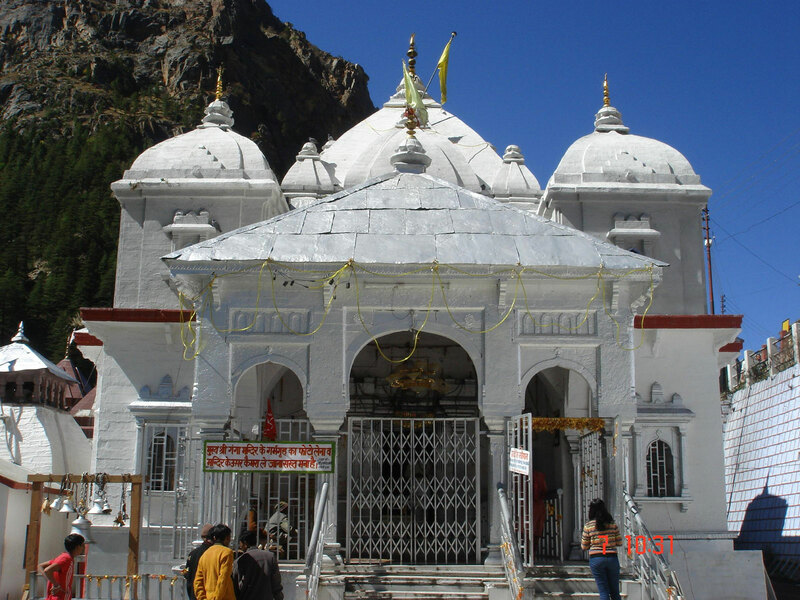 situated within one kilometer radius of this Lord Shani temple have neither doors nor locks. No thievery or burglary ever occurred here in this hamlet called Shani Shingnapur. Some who have tried to steal have died vomiting blood within minutes of their act and before they could cross the boundary. Many others are said have received varied punishments such as long sickness, mental imbalance etc. This Shani Shingnapur is visited daily by thousands of devotees praying for Lord Shaneswara’s favour. The place is busiest on Saturdays. 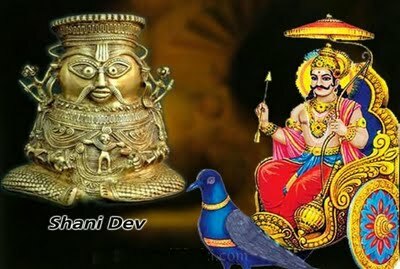 Shani Trayodasi is considered to be a favorite day for the lord. Similarly Saturday falling on ‘Amavasya'(new moon day in Sanskrit and many other Indian languages) is considered to be a favorites day for the Lord Shanaishwara. 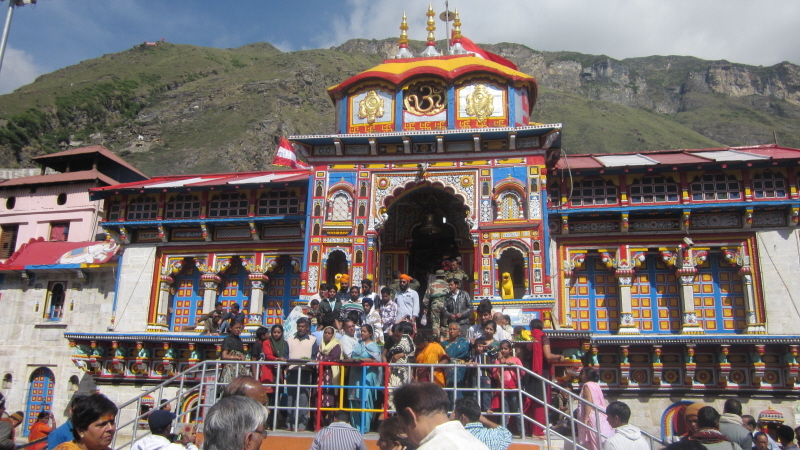 Thousands of devotees seeking his blessings throng this temple in thousands. Shignapur is situated at a distance of 6 kms from Ghodegaon on Aurangabad-Ahmednagar highway. The distance from Aurangabad is 84 kms and from Ahmednagar it is 35 kms. From Ghodegaon, there is a motorable tar road up to the idol of Shri Shaneshwar and is open in all the seasons. The population of this village is about 3000. There are no regular buses but on pilgrimage days there are special transport buses plying to Shignapur. Primarily, almost all people here in this village are descendants of Maharaja Chatrapati Shivaji and they are normally known by the names of Darandale, Bankar, Shete and Borrude. People by other names and castes are very few. The village itself is small but famous for its name. Houses without doors and windows in the village and the fields are many. The people of these four families have become relatives by marriages among the children in their families. 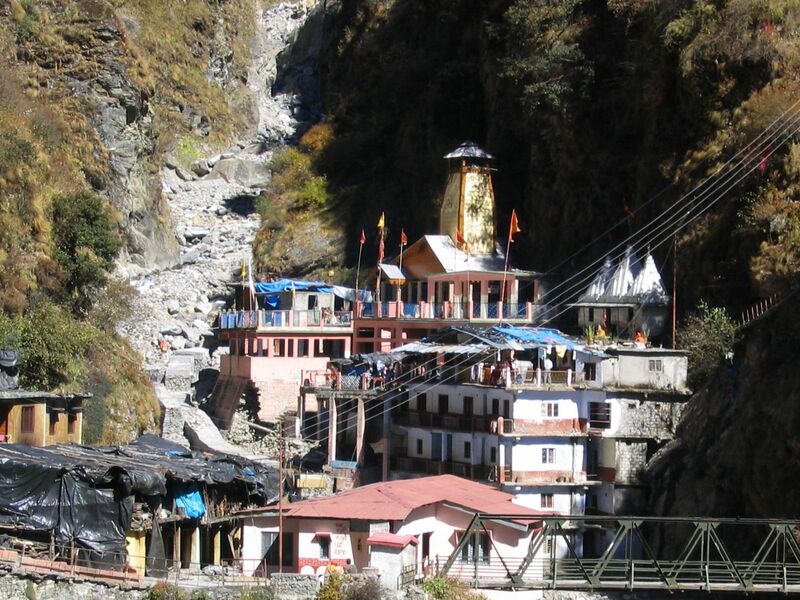 This village adores and celebrates many ancient customs, rituals and festivals with gusto and happiness. Since there are good roads, a lot of people come and go from here by buses, cars and autorichshaws. The people of this village are not victims of bad habits. There are no signs of liquor, gambling and non-vegetarianism. By the grace of God Shani, the people here are God fearing, religious, honest and trustworthy. Here, not once has a theft occurred. The homes here have no doors and windows. Therefore, the windows of their minds are always open. They are very hospitable to guests. 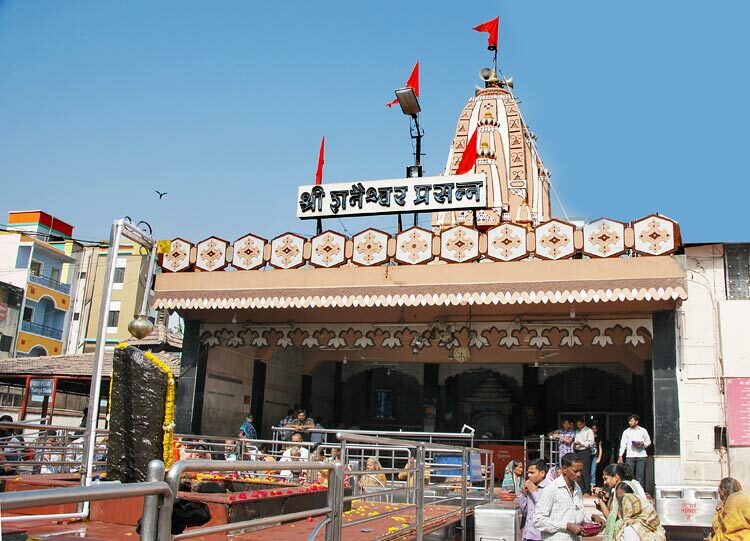 Shingnapur is situated at a distance of 6 kms from Ghodegaon on Aurangabad-Ahmednagar highway. The distance from Aurangabad is 84 kms and from Ahmednagar it is 35 kms. From Ghodegaon, there is a motor able tar road up to the idol of Shri Shaneshwar and is open in all the seasons. The population of this village is about 3000. There are no regular buses but on pilgrimage days there are special transport buses plying to Shignapur.State Transport buses ply regularly to Shingnapur from Ahmednagar, Aurangabad. One can travel from any corner of India to Shani Shingnapur. For this, the suggested railway stations are Ahmednagar, Rahuri, Shrirampur and Belapur. From these railway destinations, there are S.T. buses, Jeeps, Taxis etc. facilities to Shani Shingnapur. Having arrived from abroad to Mumbai or other from other states to Aurangabad or Pune by air, one can avail S.T. bus, jeeps, and taxies facilities up to Shani Shingnapur.